When I previously wrote about utilizing data and research in management, I mentioned that not always when people are using a certain word or term, they are understood the way they meant to. This is especially relevant when we’re trying to express quantities without using numbers. 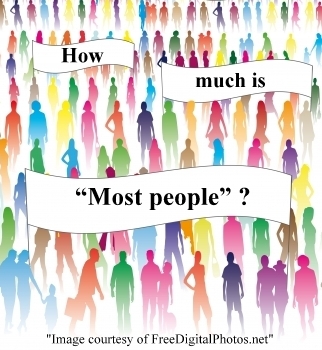 For example, how many people are “most people” or how frequent is “usually” ? To answer this question all you need to do is to remember what you’ve learned in the basic Statistics course in college. When trying to describe a majority of anything, we can calculate an average. 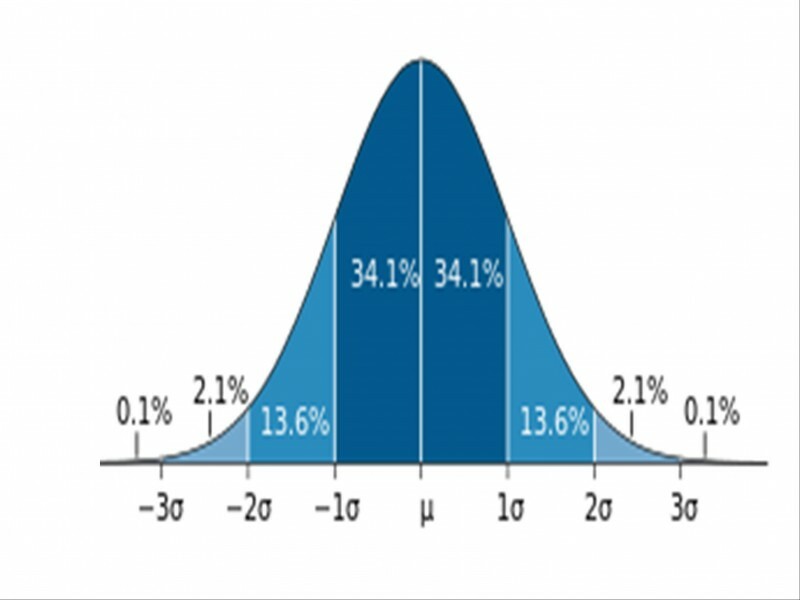 Everything in the range of one Standard Deviation from average value could be considered a majority. 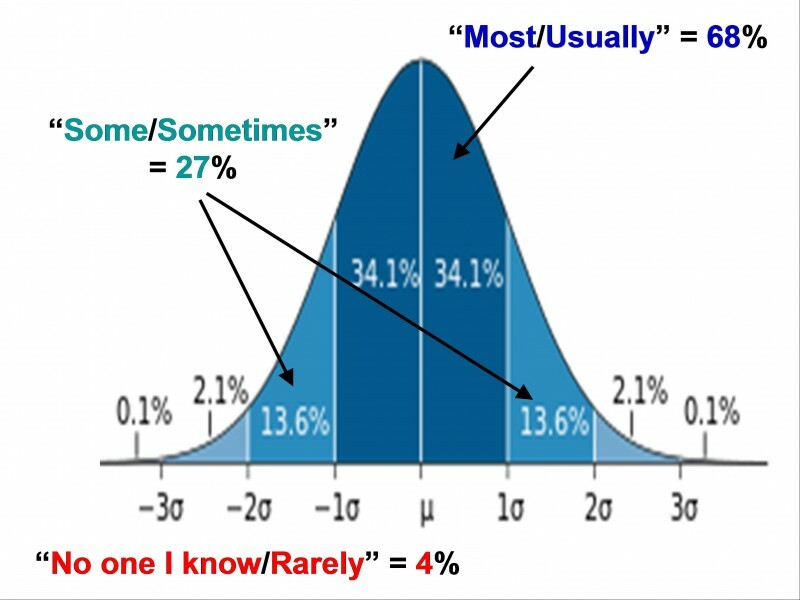 And since many human-related phenomena tend to distribute normally, you can tell exactly what per cent of people or cases is in the range of 1, 2 or 3 Standard Deviations from the mean (average) value. Sounds boring already? This is where it actually gets interesting. Of course, this system is not universal. If every 4 people out of 100 would win the lottery, would it still be “No one I know”? If an apple would not fall on the ground even one time out of 10,000, would it still be “very rarely” or more like “THIS IS THE DAY OF RECKONING!”? Every phenomenon has its own relative standards of frequency, so in some cases mere percentages would not be enough. But in many other cases – they would, so just remember to stay on the right side of the curve 🙂 . Communication skill: more or better? This entry was posted in Decision Making, Life without biases, Project Comminication Management, Thumb Rules, Tools and Techniques, Utilizing Data and Research in Management and tagged Communication, Decision making, Life without biases, Management, Thumb Rules, Tools and Techniques by AnyaWorkSmart. Bookmark the permalink. Makes a lot (about 97.36%) of sense. Great! Just imagine how many obstacles in communication can be overcome!